Air bags are supposed to be there to protect us from some of the worst consequences of car crashes. Unfortunately, in some cases, they fail to do their job, and in some cases, they actually cause people to suffer much worse injuries than they would have otherwise. At Butler Wooten & Peak LLP, our Georgia air bag defect attorneys have a record of getting results in auto defect cases. We are prepared to take on big corporations to win full justice for clients who have been seriously injured or have lost loved ones due to air bag defects. Since 1999, dual frontal air bags have been mandatory in all new cars and trucks sold in the United States. These air bags — as well as side-impact air bags and front air bags that were installed in older cars before they were required — must meet basic safety standards. Even those that meet minimum safety standards may still have serious design or manufacturing defects which can cause injury. Failure to deploy: Drivers and passengers have every right to expect their air bags to deploy during severe enough frontal and side-impact collisions. In some instances, both or one of the air bags may fail to deploy in a severe crash. When an air bag fails to deploy as a result of a design or manufacturing defect, the occupant can suffer serious injuries by impacting with the steering wheel, windshield or other part of the vehicle. Late deployment: When an air bag deploys too late, the occupant can suffer even more severe injures than would have been the case if it had not deployed at all. A bent steering wheel, a deformed air bag module cover, or occupant contact marks on the steering wheel are clues suggesting that late deployment has occurred. Overpowered deployment: Early-generation air bags are known for deploying much too forcefully. An overpowered air bag can cause catastrophic and even fatal injuries to an occupant who would otherwise have suffered only minor injuries or no injuries at all. Inadvertent deployment: Some vehicles’ air bags deploy when they should not, either in a very minor impact or when there is no crash at all. An air bag can needlessly cause injuries in these situations. Shrapnel from a defective air bag or inflator: We have handled cases where metal shrapnel is shot out of the air bag inflator when the air bag deploys, striking a driver or occupant and causing serious injury. An air bag should never cause injury in circumstances like this. Foreign materials or objects deploying from the air bag and causing injury to vehicle occupants may be evidence of a serious defect. 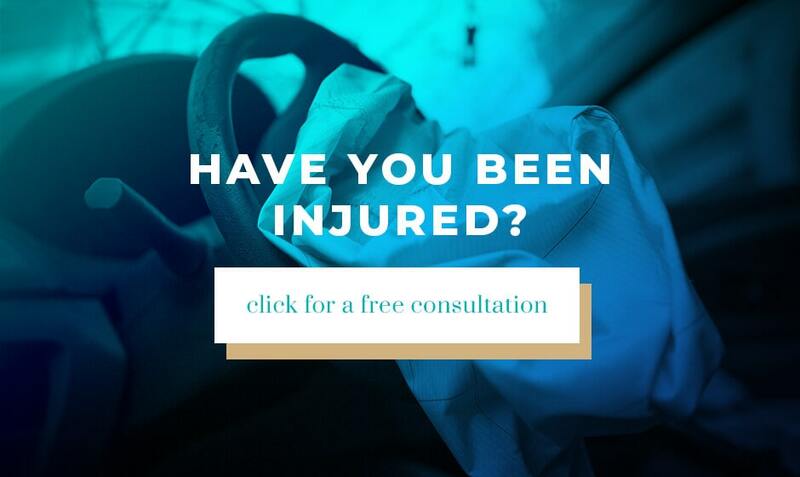 Atlanta Defective Airbag Attorney – Free Consultations! Our attorneys are experienced at obtaining “black box” records and other evidence to support our clients’ air bag defect claims. In past auto defect cases, we have also uncovered evidence that manufacturers knew about air bag defects and could have corrected them but chose not to. Taking on the big auto manufacturers is never easy, but it is the right thing to do when someone has been catastrophically injured or killed as a result of a defective air bag. To have your case evaluated by our experienced Atlanta defective airbag lawyer team, contact us today.